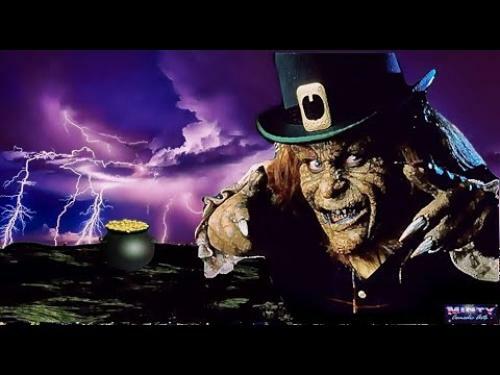 Director Mark Jones filmed the Leprechaun (1993) movie on a $900,000 movie budget, and neither he nor actor Warwick Davis knew that the film would spurn five movie sequels. Although the movie sequels and the reboot were not as well received by horror fans, it was still an interesting journey. Here are the top 10 things you may not know about the Leprechaun created by Minty Comedic Arts. I listed the details below the video briefly and included movie details and a trailer for Leprechaun (1993). Leprechaun (1993) was Jennifer Aniston‘s first film, and Warwick Davis played the Leprechaun. Warwick Davis also starred as a kid-friendly Leprechaun in A Very Unlucky Leprechaun (1998). Leprechaun (1993) has five movie sequels so far. Leprechaun: Origins (2014) is the dark and gritty reboot of the Leprechaun series which lacks all humor and the things most fans liked about the original few films. Leprechaun: Origins (2014) was produced by WWE Studios. Leprechaun (1993) made $9 million on an estimated $900,000 budget. Leprechaun (1993) was released in January 1993 making it one of the first films of that year. There is a scene in the original Leprechaun (1993) where the Leprechaun was looking inside a Lucky Charms cereal box but was reshot to read Lucky Clover. Lucky Charms maker General Mills withdrew their permission to use Lucky Charms in the film once they heard about the unfriendly Leprechaun. Star Wars creator George Lucas received a special thank you because Warwick Davis was under contract to star in a Star Wars film and Lucas had to give written permission to release Davis to star in Leprechaun. Deep Roy and Tony Cox were the stunt doubles for the Leprechaun. Leprechaun (1993) was initially intended to be a kid-friendly movie, but as filming progressed, everyone thought the film would benefit from a darker more adult tone, so they increased the violence and bad language. Official Synopsis: When Dan O'Grady returns to the U.S. after stealing some Irish leprechaun's pot of gold, he thinks he can settle down and enjoy his newfound wealth. He thought wrong. The leprechaun followed him and O'Grady barely gets away with his life, having locked the little monster in his basement. Ten years later, J.D. and his spoiled daughter Tory move in. By accident, the leprechaun is released and almost immediately the annoying creature starts to look for his gold, not displaying any respect for human life.